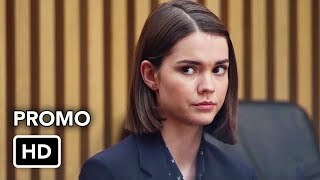 Good Trouble 1×04 “Playing The Game” Season 1 Episode 4 Promo – Judge Wilson invites Callie and the other clerks over for a seemingly friendly BBQ that takes an unexpected turn. Mariana deals with a lack of diversity in her workplace and questions whether it’s the right place for her. Alice struggles with the responsibilities of managing the Coterie.